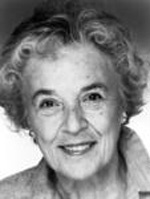 Anne Pitoniak had steady work on Stage and TV. She was twice nominated for a Tony. Ann Pitnoiak, Marian Seldes, and Holland Taylor all starred in the same movie together: Bitter Blood 1994. Instead of hearing our favorite heroines together, we get to see them together in the same film. She performed is 33 episode of CBSRMT,from 1974 - 78, with many show in the first season. There many actors on CBSRMT who were more known for Broadway than in films, obviously since were talking NYC based. Dosen't get talked about much but I think it had a definite influence on the style of acting on the show.